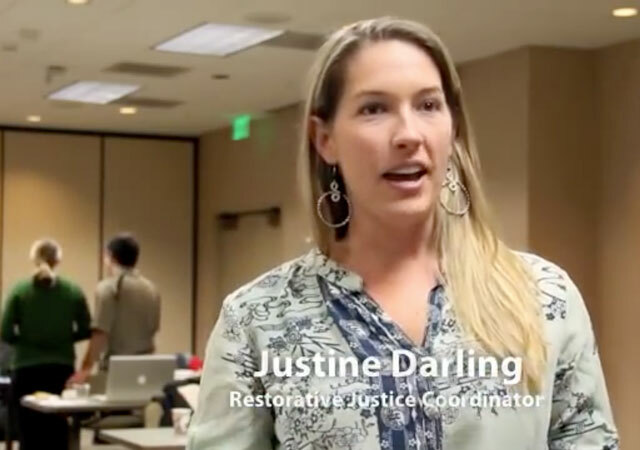 Restorative Justice provides a safe space for impacted parties, those responsible, and community members to address difficult situations face-to-face in order to repair harm, promote healing and learning, and build community. RJ is an important part of the University of San Diego's conduct process and a key way we build community within Residential Life. Student Life and Residence Life professionals are trained Restorative Justice Facilitators and provide safe spaces to discuss harm in our community through dialoguing circles and restorative conferencing. These services are available to all students, staff, faculty, and other community members whenever they are in need.